This news analysis was written by CBS News Senior Political Correspondent Jeff Greenfield. If you had a chance to listen to Rev. 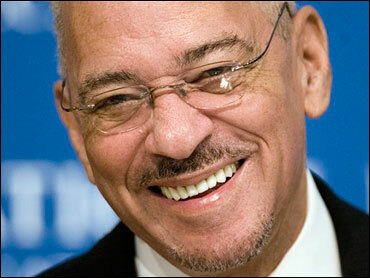 Jeremiah Wright - at his NAACP appearance in Detroit, or in his talk at the National Press Club - you came away with two impressions: first, Rev. Wright is a learned, compelling, often hilarious speaker; second, he is a genuine threat to the presidential hopes of Barack Obama. His NAACP speech was shaped around the theme that "different does not mean deficient." He talked about how blacks and whites were "different" in everything from language to music to religious worship. He interposed his speech with snatches from speeches, songs - at one point, brilliantly imitating the sharply different styles of marching bands. Michigan State, he demonstrated, simply did not move on the field the way the Grambling Band did. He also offered a highly inclusive vision of the change America needed - rejecting exclusionary thinking whether it was white vs. black, black vs. white, straight vs. gays, Christians vs. Jews. There was nothing in that part of the speech that was objectionable or offensive. So what's the problem for Senator Obama? In his National Press Club speech, we saw another side of Rev. Wright - utterly unrepentant about any of the things he has said, and insistent that the wave of criticism aimed at him was really "an attack on the black church." That argument is familiar - even pervasive. When a visible member group that has suffered exclusion is challenged, that individual is frequently heard making that argument. Senator Huey Long argued that attacks on his honesty were really attacks on the poor for whom he spoke; Richard Nixon and Bill Clinton both argued that attempts to hold them accountable for misconduct were really attacks mounted by their political enemies. In wrapping himself in such an argument, Rev. Wright never even seeks to confront the core of the criticism: What did you mean when you said what you said? Why tell your congregation that AIDS was a government conspiracy to commit genocide on African-Americans? More broadly, Rev. Wright's counterattack reframes the argument in starkly racial terms: "Attack me, attack the black church." It is exactly the opposite what Senator Obama has been arguing throughout his campaign; that it is past time for the United States look beyond race. Indeed, Wright's vision of this controversy strikes at the heart of Obama's view. It may well be true that most white Americans do not know or understand the nature of the black church in America; that it was formed and grew in response to the fundamental evil of slavery and oppression. But in his comments, Rev. Wright seems not to believe that the United States has in any serious way come some considerable distance - and one of the surest signs of that is the plausible presidential candidacy that Wright's comments have so seriously harmed.